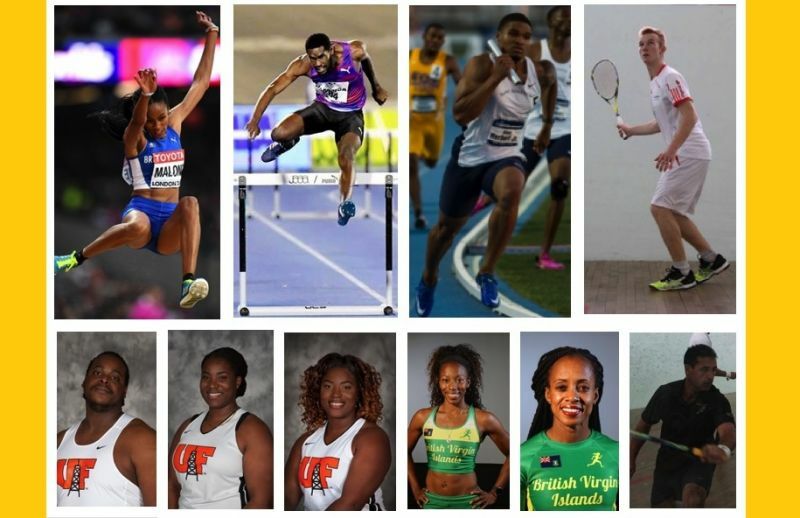 ROAD TOWN, Tortola, VI- The Virgin Islands (VI) will be represented by ten athletes in two sports at the Gold Coast 2018 Commonwealth Games which will be held on the East coast of Australia from April 4 – 15, 2018. The BVI Olympic Committee (BVIOC) in its capacity as the Commonwealth Games Association (CGA), is the local entity responsible for managing and undertaking the administration requirements for participation. The CGA also serves as the body to whom National Federations present their qualified athletes to undergo the selection process. 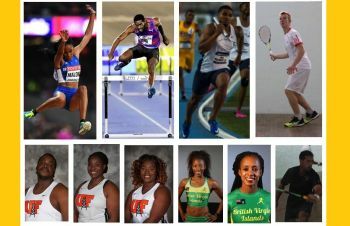 Track and Field athletes include Ashley Kelly (400m), Chantel Malone (Long Jump), Tahesia Harrigan-Scott (100m), Tynelle Gumbs (Discus and Hammer Throw), Trevia Gumbs (Discus and Shot Put), Eldred Henry (Discus and Shot Put), Khari Herbert (400m), and Kyron McMaster (400m Hurdles). Squash players include Joe Chapman (Squash Singles and Doubles), and Neville Sorrentino (Squash Singles and Doubles). Events are spread out over a number of venues and the Gold Coast’s Carrara Stadium will be the venue for Athletics and the opening and closing ceremonies, while Squash will be held at Oxenford. Officials attending the Games include Mark Chapman, Chef de Mission; Julie Pearson, Attaché; Athletics coaches Loren Seagrave, Joey Scott, Winston Potter, and Omar Jones; and Squash coach Adam Murrills. Mark Latimer will be the Team Physio. The BVI CGA will be represented by President, Ephraim Penn and Secretary General, Lloyd Black. It is expected that Dr. The Honourable Kedrick Pickering will also be in attendance as a representative of the Virgin Islands. Conducted every four years since inception in 1930, the GC2018 will be the 21st edition of the sporting event known as the Friendly Games. To date the VI has participated in 7 Commonwealth Games, the first being in athletics in Auckland, New Zealand in 1990. The Gold Coast 2018 Games will be the territory’s 8th appearance and is the first major international event since the 2016 Summer Olympic Games. The GC2018 opening ceremony will kick off when the Queen’s Baton Relay – the pre-cursor to the Commonwealth Games which toured through the Virgin Islands July 2 – 4, 2017 – is run into the Carrara Stadium and the Queen’s message to the athletes is removed from the Baton and read to the athletes. 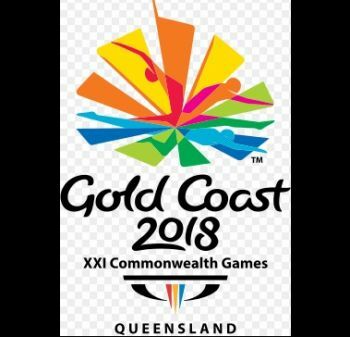 With more than 6,600 athletes and team officials expected from 70 Commonwealth nations and territories from 6 continents to come together to participate in the Friendly Games, organizers of the GC2018 say that this will be the largest sporting event that Australia will see this decade and will be the biggest sporting spectacular the Gold Coast has ever seen. The Commonwealth Games Federation vision is to build peaceful, sustainable and prosperous communities globally by inspiring Commonwealth Athletes to drive the impact and ambition of all Commonwealth Citizens through Sport. The vision, mission and values of the Commonwealth Sports Movement hinge on three core values: Humanity, Equality, and Destiny. Congratulations to team BVI. Wish you well. Do have fun and give it your best. We need more positive stories on our news so both local and international can know we’re not just a gun town. do your best and God will do the rest and the entire BVI will be supporting you and also Dag will be looking down on you.